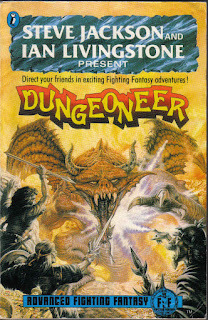 Well, I don't know if that counts, but I believe my initiation was with Fighting Fantasy Gamebooks, and then with the Dungeoneer RPG (which is an Advanced Fighting Fantasy version). I played many of their first gamebooks and then started to try make something similar with Dungeoneer. It was only with Tagmar (a Brazilian Fantasy RPG that functioned similar to the TSR Conan RPG) that I really started to understand the differences between gaming books and proper Role Playing Games. I think it was around 2010 or something. I had just got back to playing RPGs, and bought a bunch of 4th edition D&D books. I tried to play a campaign with them for about an year, but in the whole time, we didn't finish even 3 adventures. It wasn't like the D&D I remembered. Then I started looking around the internet to see what people were playing and I found about this whole "let's take a look into the origins of our hobby" thing and discovered Labyrinth Lord. I immediately wanted to try it out and it worked so fine (in a 3 hour session we did things we took months to accomplish in the 4th edition campaign), I became like an OSR fanatic, hunting everything I could find about the older editions and the things they were inspired now. 3. Tell me about Old Skull publishing, how did it start? One of the things that I found really fascinating about the OSR was how everyone had their own vision of how the game was, and how it could be, and even shared these visions with the community, publishing games of their own. It was really refreshing. I realised we didn't really need a big company dictating what game we should play, how the setting was, what story we should be telling now. We could do our own thing. The game was really ours, and we could do anything with it. 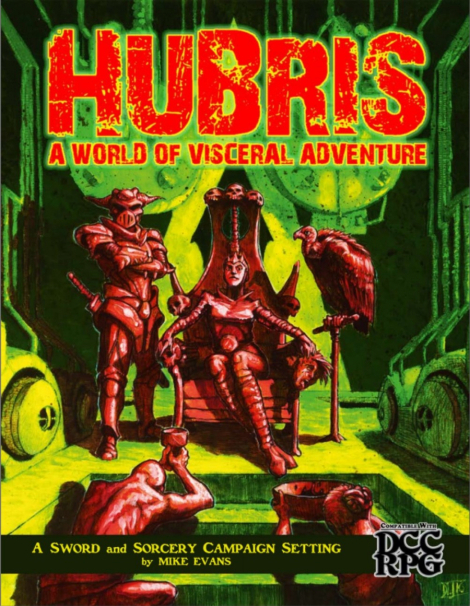 So over the years I played many many OSR games and each one there was something I really liked, but didn't have something another game had. So, the logical step was to make a game myself that would combine what I wanted to have, stealing bits and parts from a bunch of other games and put it out there, and see how it goes. 4. Tell me about "Sharp Swords & Sinister spells". Sharp Swords & Sinister Spells is a game I made for myself. It's a light sword and sorcery RPG with strong Old School influences. It's not so light that you can't have significant mechanical bits and the rules almost don't matter. They do, and they have an important impact on it, but are easily manageable. If you need to create a character, you can do it in a few minutes. Need a monster? It's even quicker. It is inspired mainly by the stories of Robert E. Howard's Conan and Fritz Leiber Lankhmar series, although there are influences of other authors such as Clark Ashton Smith, Lovecraft, Michael Moorcock. And the actual system is a mixture and reimagination of various bits of different systems (it has parts inspired by Black Hack, White Hack, DCC RPG, Beyond the Wall, Call of Cthulhu, Edge of the Empire, Fiasco, and a bunch more), most of them from the OSR, but there is a thing or two outside of this realm of influence. I wanted to combine everything I liked in other games into my own, and the result it something unique, but that seems familiar too. So, in the end, SS&SS is a simple yet robust system, that let me create things for it quite easily, without requiring too much work from me, while also giving me the elements a want to work with for the style of sword and sorcery adventures I like. 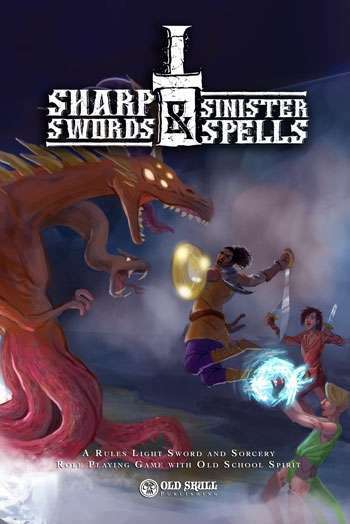 I am currently playing Sharp Swords & Sinister Spells and Dungeon Crawl Classics RPG. I am beginning a SS&SS urban crawl kind of campaign, inspired by the Lankhmar stories, with a bunch of generators to create gaming elements, hooks, places, NPCs, conflicts and other stuff (and I plan to publish the setting and city tool kit for the game later). For DCC RPG, I basically play a bunch of one-shots of the modules. That's a tough question. I love playing The One Ring, which takes place in Middle Earth, Star Wars RPGs, that happen in that universe... But I think one of the settings that really fascinates me is Edgar R. Burroughs' Barsoom. It is futuristic but medieval at the same time. The ruins, the mysteries, the different civilizations that live and lived there, the legends and superstitions. I guess I really want a good Barsoomian campaign someday! 7. Tell me about the SS&SS Addendum, and spell books. 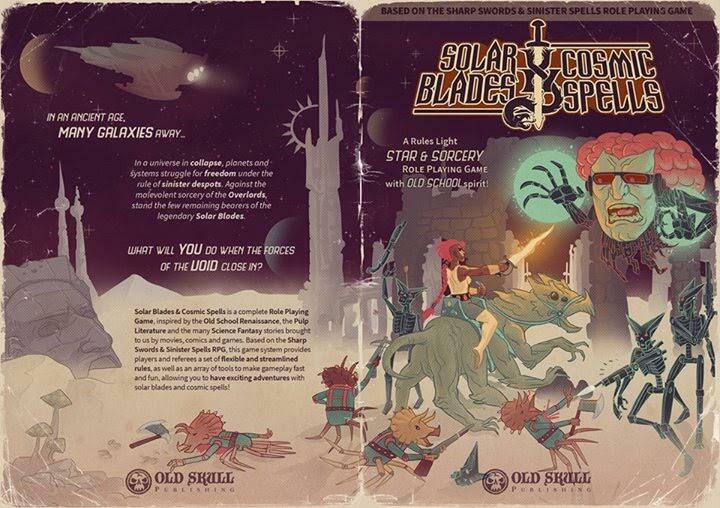 Well, when I published SS&SS core book, I wanted it to be compact, having everything you really need to play a sword and sorcery RPG, with some tools. But the Addendum is that little extra, that spice you can put on your food to make it more tasty. The Addendum brings some optional rules inspired by the sword and sorcery genre, like a Luck boost drunk people receive, a rule for a strong bond with your adventuring companion (like Fafhrd and Grey Mouser have), carousing, the use of true names and things like that. Not to mention a whole lot of tables and generators to help players and referees come up with stuff during play, or during prep time. Well, art wise, the name that always comes to my mind is Peter Mullan. I don't know what it is, but his art really leaves me amazed. I can stare at it for hours. He has something of Erol Otus in the early days but with something more. The details, the scenes, the weirdness of it. They are really something to be studied, and I do try to do that with my own art. In terms of RPG authors, that's a tougher one. I really enjoy Harley Stroh adventures. They are so pulpy, so exciting and have a fell of sword and sorcery shenanigans that's right up my alley. 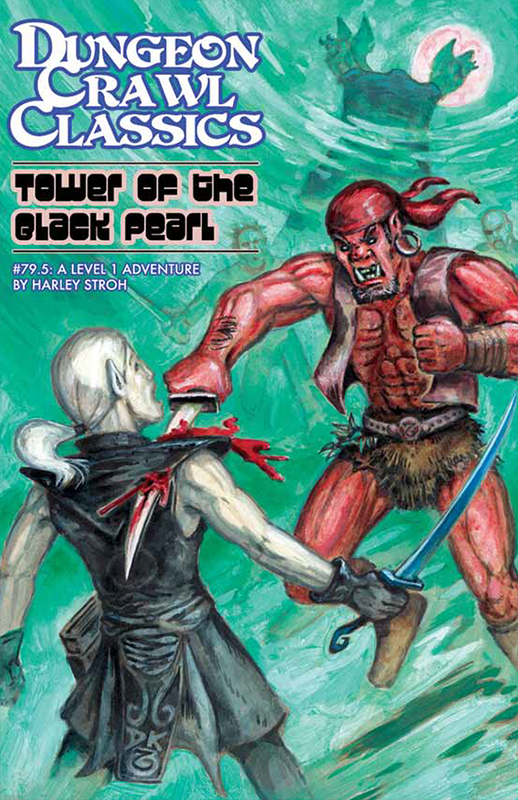 As for proper game rules author, I really like the style of how DCC RPG was written. It's really inspiring, and is not just a gaming manual but a style and inspirational book. So, I guess Joseph Goodman. But it just know occurred to me you might be talking about literature authors. Well, as of right now, I really like Fritz Leiber. Fafhrd and Grey Mouser stories are exciting, sometimes dark, but they always have a light side to it too, some funny bits that makes you smile now and them. Hummm... Let me think. As I said, Harley Stroh stuff is really right up my alley. 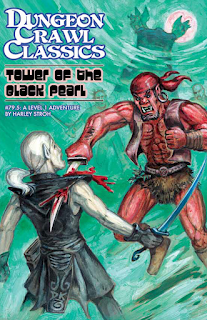 I love Tower of the Black pearl, even though it is pretty straight forward. But it mixture rumors of legendary places, pirates, mysterious wizards, a tower that comes out of the ocean. In game play, it has a time limit that pressures the players. There are puzzles and problems they need to figure out themselves, without rolling dice. There is opportunity for roleplay and epic combat. There is everything in there. I don't get to play as much as I'd like, but when I do, I usually like to play the seedy scoundrel type of guy. 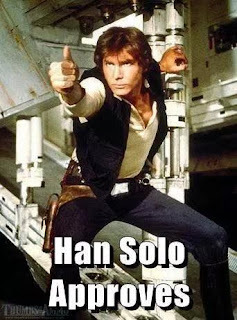 Like Grey Mouser or Han Solo. The type that can handle themselves in combat, but prefer to solve problems with a bit of wit and subterfuge. Setting toolkits, that generate stuff for you to play and use on the table, instead of just reading it to memorize details. Like Yoon-Suin, Hubris, Vornheim and things like that. Setting that are tools for you to play them and create content for the actual game, instead of just boring descriptions of every single detail you will never actually use in play. I really want to prepare the SS&SS setting like that! 12. Would you rather be a spell slinger or a beefy warrior? 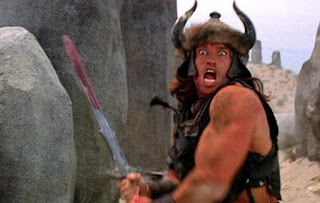 Well, considering I am all about sword and sorcery, and that sorcery corrupts and deforms you in this type of fantasy, I will stick with the beefy warrior. I want to find ancient gold and spend with mundane pleasures! 13. What are your plans for Old Skull Publishing this year? Wow, so many! But I need to focus at one at a time to finish them! 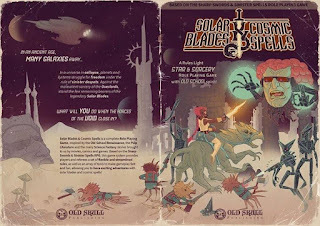 I am currently writing a few short adventures to release for SS&SS and at the same time writing Solar Blades & Cosmic Spells, which will be Science Fantasy version of Sharp Swords & Sinister Spells. It will be literally sword and sorcery in space. Barbarians side by side with robots, aliens, sorcerers, psionics, mechanics and everything. It's going to be like Dark Sun meets Star Wars meets Hyborea or something. After that, back to SS&SS with it's setting! 14. Sushi or Dim Sum? I don't know if there is a secret meaning behind this, but I love sushi. I do enjoy a Yakisoba though! You can find me on Google+ (https://plus.google.com/+DiogoNogueiraXP), Facebook (https://www.facebook.com/diogonog), Instagram (https://www.instagram.com/diogo_nogueira/) and Twitter (@diogoxp). Old Skull Publishing stuff can be found at RPGNow (http://www.rpgnow.com/browse/pub/10771/Old-Skull-Publishing) and Lulu (http://www.lulu.com/spotlight/OldSkull).